PICC nurses have a ton of valuable information for their patients. After speaking with dozens of Vascular Access nurses in the National AVA Conference (September 2016 – Disney, Florida), we summarized the top 5 insider tips for patients doing intravenous treatments! “AVA is the Association for Vascular Access, founded to support and promote the specialty of vascular access”. 1) AS A PATIENT, YOU HAVE TO BE YOUR OWN ADVOCATE! YOUR NURSE CAN NOT HEAR YOUR THOUGHTS – ALWAYS SPEAK UP! You can always express yourself by saying: “I’d be more comfortable if ….”. 3. Lets it dry for 10 seconds! Presence of any other medical devices. Status of target veins – have other doctors/nurses told you that there are some particular veins in your bodies can NOT be accessed? Access history: Have you had a line before? How has it been working thus far? *This information will be useful for your nurse if you have an issue with your line, to have insights about when and why the issue started. If a nurse tells you that you don’t have access for a line, ask them to PROVE it! What kind of treatment works best for your daily life? 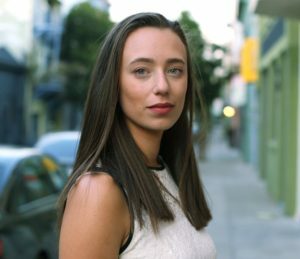 What can you (can you not) cope with? * There are a high variety of options for catheters you could use for treatment, as well as positioning for insertion, including, but not limited to, PICCs and Ports. 4) BE AS THOROUGH AS YOU CAN WHEN YOU ARE LOOKING FOR A CLINICIAN. Be open to talking to you and hearing what you have to say. Be available for follow up questions, and have a contact where you can reach out 24/7 (Issues don’t always come up during business hours! “If they are going you blow you off on a Friday night, they are not the right team”). Contact your airline before booking your trip to learn what accommodations they have for people living with medical devices. *Different airlines/airports have different accommodations. Make sure you carry enough medication for at least 2 days. If you are using ice bags, make sure it is completely frozen (no water leakage); if it’s not, it may test positive for dangerous solutions. If you are unsure it is frozen, get rid of yours, and get a new ice bag from one of the restaurants if the airport. Search for TSA Cares. They provide passenger support for patients in certain airports. Call a TSA contact center at 1-866-289-9673 or TSA-ContactCenter@dhs.gov. WE REALLY CAN PUT THE EXIT SITE ANYWHERE! 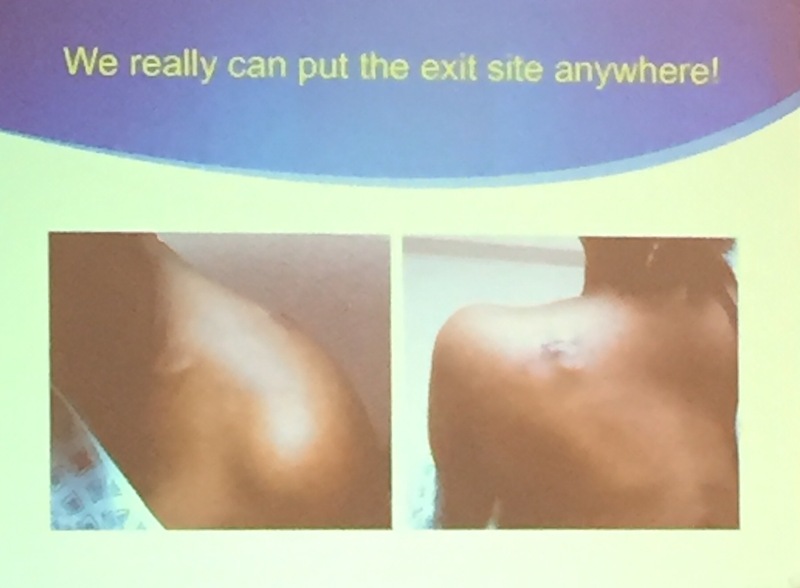 A nurse from AVA shared a story that the PICC team at her hospital put the exit site of a line in the upper part of the patient’s back (back part of the shoulder!). She mentioned that they did this with people that do not do any of their own care and treatment, such as with kids that tend to play with their line, or adults with impairment. In other occasions, they have put the exit site in the leg (Far from the reproductive system’s area – “10 inches below”) to ensure sanitary conditions.